BOB SANDRICK / GAZETTE Denny and Venessa Mauder of Grafton ride into American Legion Post 523 in Lodi at the end of Saturday's poker run fundraiser. 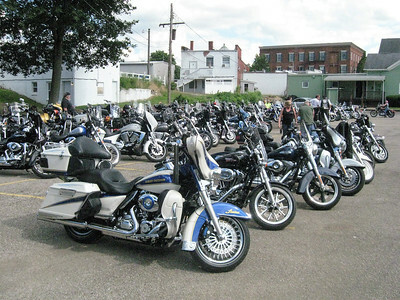 BOB SANDRICK / GAZETTE More than 150 motorcyclists participate in a 120-mile poker-run fundraiser that was held Saturday to help fight heroin addiction. 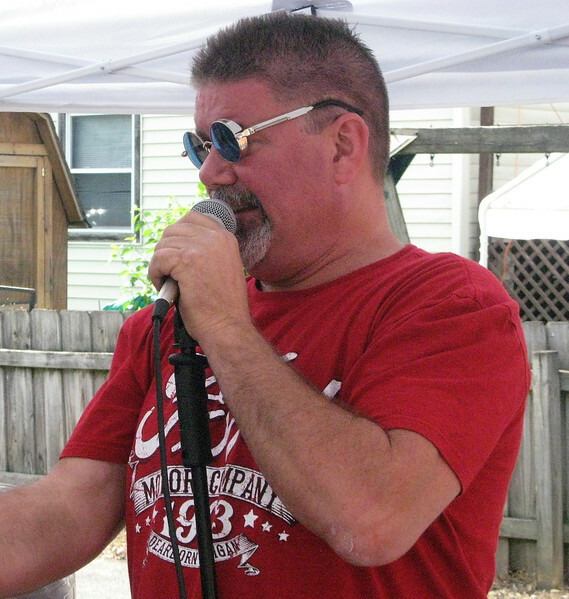 The run ended at American Legion Post 523 in Lodi. 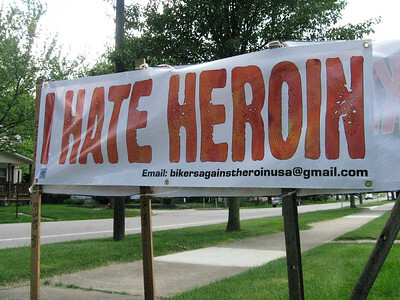 BOB SANDRICK / GAZETTE A sign welcomes poker run riders Saturday outside American Legion Post 523 in Lodi. BOB SANDRICK / GAZETTE John Spies, of Dr. John & The Remedy in Polk, works as the DJ Saturday at the end of the 120-mile poker run that finished in Lodi. 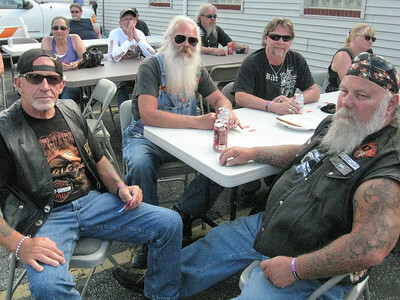 BOB SANDRICK / GAZETTE Shown clockwise from left are Jake Gillis of Columbia Station; Bob Foster of Wadsworth; Randy Crites of Spencer; Kim Diezman of Medina, and Rell Carver of Medina as they relax after Saturday's 120-mile poker run event that ended in Lodi. 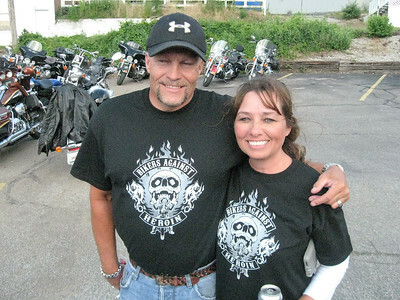 BOB SANDRICK / GAZETTE Dean and Sharon Wiley of Medina are shown at Saturday's motorcycle poker run, which raised money to fight heroin addiction. BOB SANDRICK / GAZETTE Scot and Patti Neufer, founders of Bikers Against Heroin, have a moment of silent prayer Saturday in Lodi after the motorcycle poker run. 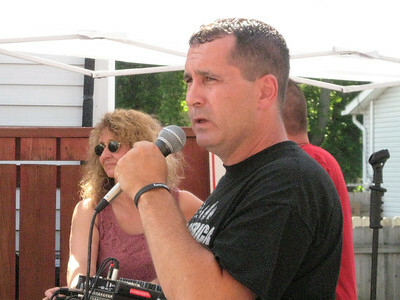 BOB SANDRICK / GAZETTE Michael Pack, a recovering heroin addict and public speaker, encourages the crowd Saturday at American Legion Post 523 in Lodi. 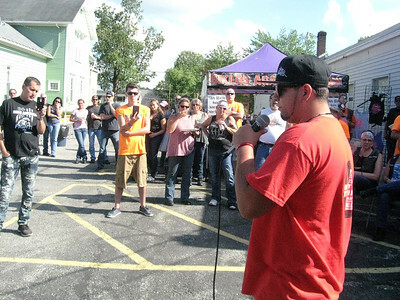 BOB SANDRICK / GAZETTE Cody Delgado, a recovering heroin addict from Clyde, offers a message of hope after a 120-mile motorcycle poker run held Saturday in Lodi. John Spies, of Dr. John & The Remedy in Polk, works as the DJ Saturday at the end of the 120-mile poker run that finished in Lodi.